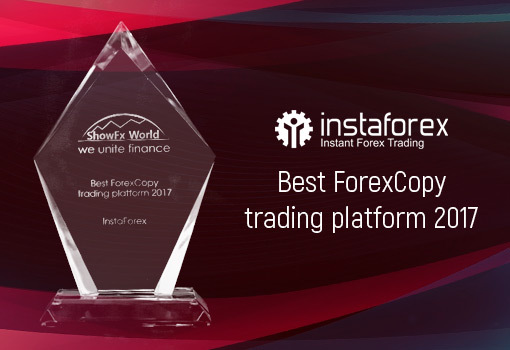 The award was allocated by ShowFx World international jury who fully appreciated a groundbreaking offer from InstaForex. The broker makes it possible to use the No Deposit Bonus in the ForexCopy system. This solution opens the door to trading with InstaForex for absolutely every client. The ForexCopy system was designed by the company’s specialists and launched in 2011. Remarkably, the broker has already won the 8th award from the ShowFx World brand of exhibitions, conferences, and workshops, dedicated to trading in global financial markets. This entry was posted on Thursday, September 20th, 2018 at 9:38 am	and is filed under Important Announcements. You can follow any responses to this entry through the RSS 2.0 feed. You can leave a response, or trackback from your own site.